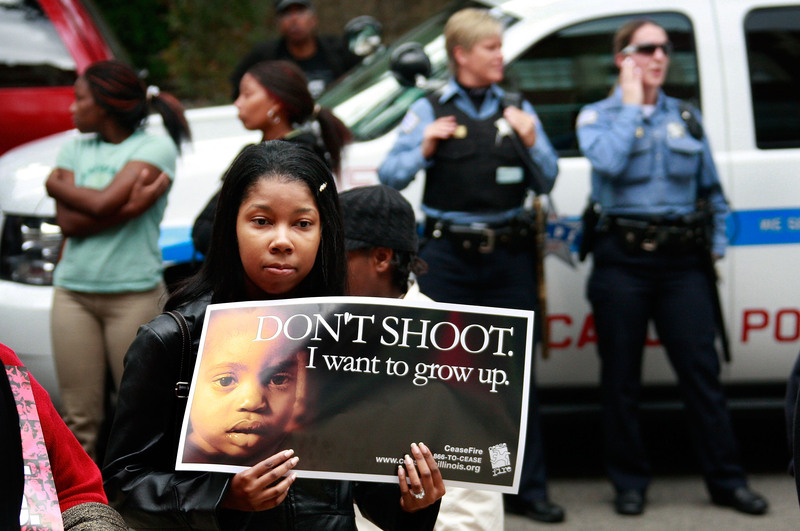 As of today, there have been 940 shooting victims in the city of Chicago. Last year, there were 2185 victims of gun violence. Combined, that is more victims than those who perished on 9/11, and that is only for about 18 months. Gun violence in the city has gotten so bad that, earlier this year, the city was nicknamed “Chiraq.” Ouch. The problem of violence in parts of the city is indeed terrible, and there are many issues and factors that underlie this violence. Fixing the problem is a tough task, and I pray that community leaders, religious leaders, and law enforcement are able to work together to bring peace to these communities ravaged by violence. No one deserves to live in the fear these fellow Chicagoans have to endure, and I pray their plight gets better. Yet, does this very sad state of affairs tell the entire story of Chicago? Does this violence define all of Chicago and all Chicagoans? Of course not. As anyone who lives here knows, Chicago is a beautiful city (its winter weather notwithstanding), perhaps the most beautiful city in the country. Its people (if not its winter weather) are warm, and friendly, and vibrant, and vivacious. Its neighborhoods are eclectic, and each one can take a person to a different world without ever leaving the city limits. Its restaurant scene is the finest in the world, and Chicago, in fact, is home to the top restaurant in the world. I had a chance to see the entire city when I ran the 2010 Chicago Marathon, and it is truly an amazing place with truly amazing people. Some parts of the national news media dubbed Chicago “Chiraq” due to the (almost) constant news of these terrible shootings. But the city of Chicago that I know and love is much more than that, and the name “Chiraq” does Chicago a terrible injustice. Many people come to these conclusions based on the (almost) constant news coverage of acts of terror by Muslims, all the while remaining almost completely silent when non-Muslims commit alleged acts of terror. In fact, some have even said that “not all Muslims are terrorists, but all terrorists are Muslim,” even though this has been shown to be wrong time and time again. Just as it is not fair to call Chicago “Chiraq” based on the news of all the Chicago shootings, it is not fair to characterize all Muslims as “terrorists” based on more intense media coverage of terrorism committed by Muslims. If one wants to get a real taste of the great city that is Chicago, just spend a summer visiting all its fantastic neighborhoods and its awesome Downtown. It will be an experience not soon forgotten. Want to get a sense of the great community that is Chicago’s Muslim community? Just watch this video. Both of us, Chicagoans and Muslims, are much more than the negative media coverage. The more people realize this, the better our world will be. This article is an updated version of what was previously published here. Subhanallah, jazakallah khairun and keep up the good work brother. Indeed. Great way to put it into perspective.